It's badass. It's back. It's Men in Black. Their mission is to monitor extraterrestrial activity on earth. That's right: aliens. Will Smith (Agent J) and Tommy Lee Jones (Agent K) are back to kick some alien booty. Except that Agent K is dead? Even though it's been 15 years since Men in Black movie debuted, it's as if time had stood still. With the agents' sunglasses and "neuralyzer" ready-to-go, the scum-blasting pair don't seem to have changed a bit. With Agent K gone, Agent J is left to find the answers. And that includes time-jumping off a skyscraper. "There are things out there you don't need to know," Agent K tells Agent J in the teaser, when Agent J finds his access to a report is denied. As soon as Sony released the trailer today, the 1:58-minute clip became a trending topic on Twitter, under the hashtags #ManInBlack3 and #MIB3. While some said that by looking at the trailer, the movie looks "tight" and "dope," others hoped someone would "flash that memory eraser in [their] eyes to help [them] forget this awful news." The sci-fi comedy has pointy teeth and spine-chilling snarls that could jump out at any minute. Let's hope no creatures of this kind exist on the newly confirmed planet, Kepler-22b. 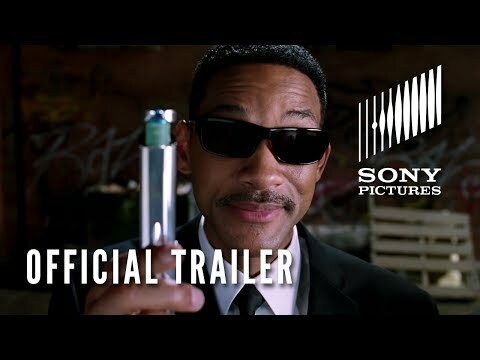 Men in Black 3 comes out on May 25, 2012, in 3-D.